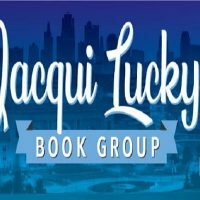 Jacqui Lucky is hosting her very own book group! Each month she will share her ‘pick of the month’ and during that month releasing a podcast that talks about her pick and all things book related. Its going to be so much fun, and Mid-Continent Public Library will be joining in! Come join the group, and get ready to share your love of books! CLICK HERE TO JOIN THE BOOK CLUB.